We meet Sept-May on Sundays at 9:15 a.m. at St. Paul Lutheran. This is a wonderful opportunity for adults to discuss the Word while their children are in Sunday School. For more information, please contact Ivan Smith (810)982-7556. We meet the 2nd Tuesday of the month at 1:00 p.m. in the church library for book and Bible discussion. For more information, please contact Judy Halamka or the church office. ﻿Meets as scheduled (see hall calendar). Please contact Lisa Schleicher for more information. For those in their 20's, 30's, & 40's. A new group that started this year to help our members of the congregation explore new ways to challenge and grow in their faith. This is open to members and visitors in their 20's, 30's, and 40's. We meet once a month, usually the first Sunday from noon to 2 pm, to share in a potluck lunch and discuss books, scripture, or any ideas of how we would like to grow in our faith and worship here at St. Paul. If you would like to join us, please contact Ted Golubinski Jr. tgolubinski@msn.com or check the weekly bulletin for our next meeting. 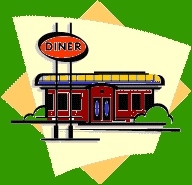 We meet for book discussion at Denny's of Fort Gratiot on the first Saturday of each month from 8:00 a.m. - 9:00 a.m.